Grim tales - works by Kate Harrison inspired by dark fairy tales will festively be on show at Urchin in December. In her own words, “humorous and sometimes a little dark”. 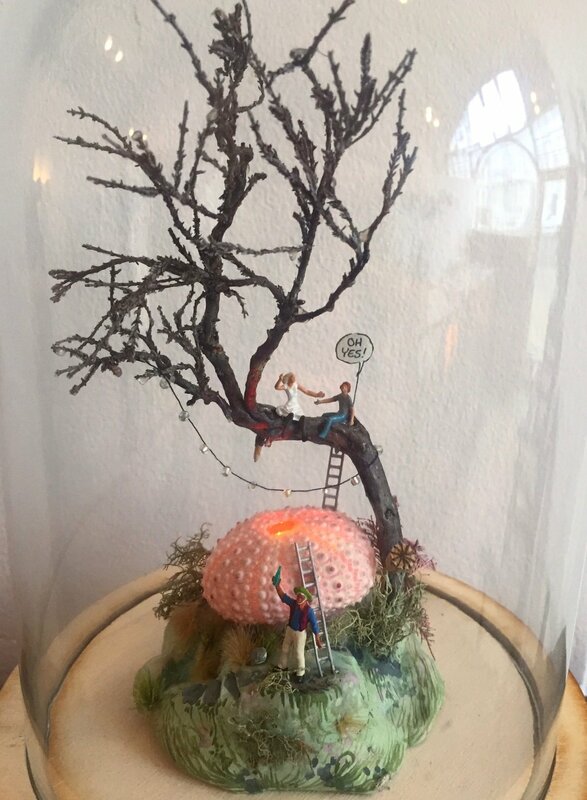 Illustrator Kate Harrison makes wonderful dioramas in small glass domes – inspired by the humor, style and simplicity of vintage magazines, manuals and comics, Kate’s intricate worlds often use single words of text to let the viewer conjure up their own story about what the piece might mean.